The food: This year, we planted a pretty large raised-bed garden (it’s about 6 x 18-feet) and our six tomato plants yielded a decent crop. There was no way we could eat them all while they were fresh, so we had to learn a thing or two about canning. 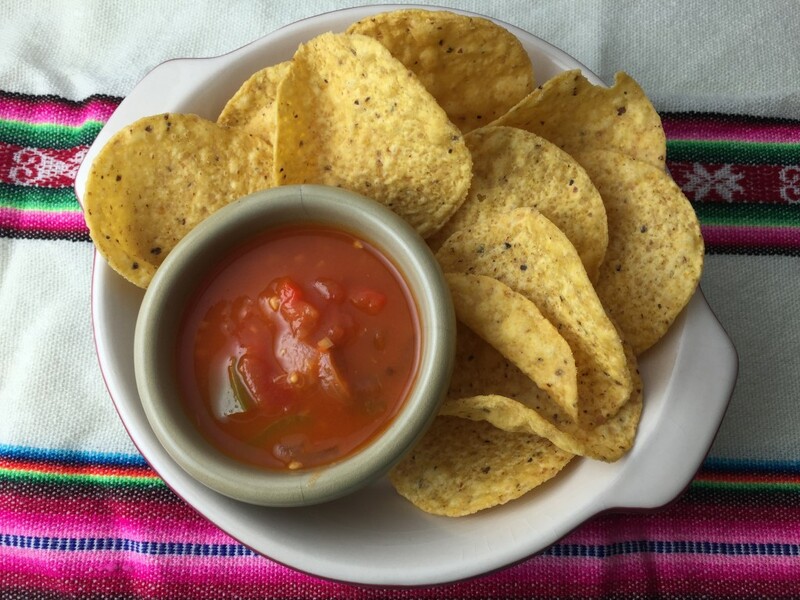 We decided to make several batches each of salsa and pasta sauce. 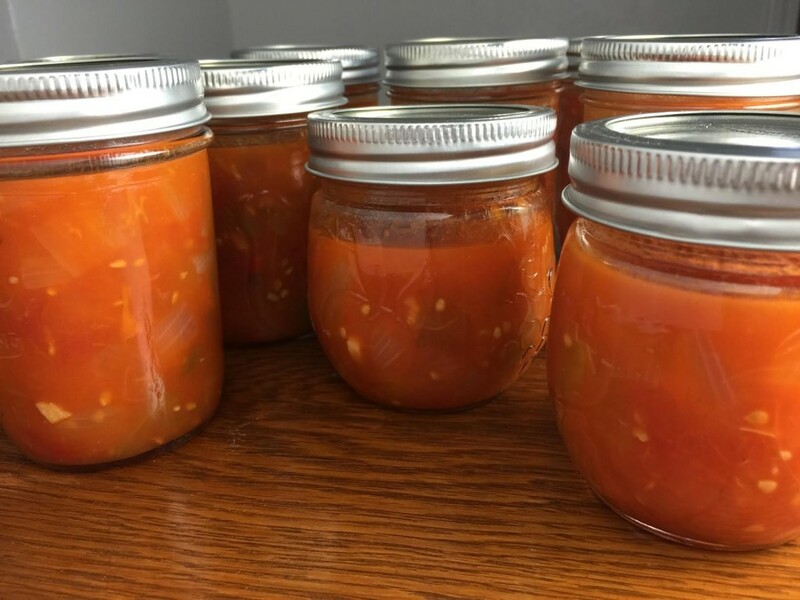 Turns out, canning isn’t difficult–just a bit cumbersome and time consuming–and it makes me feel like the The Pioneer Woman. 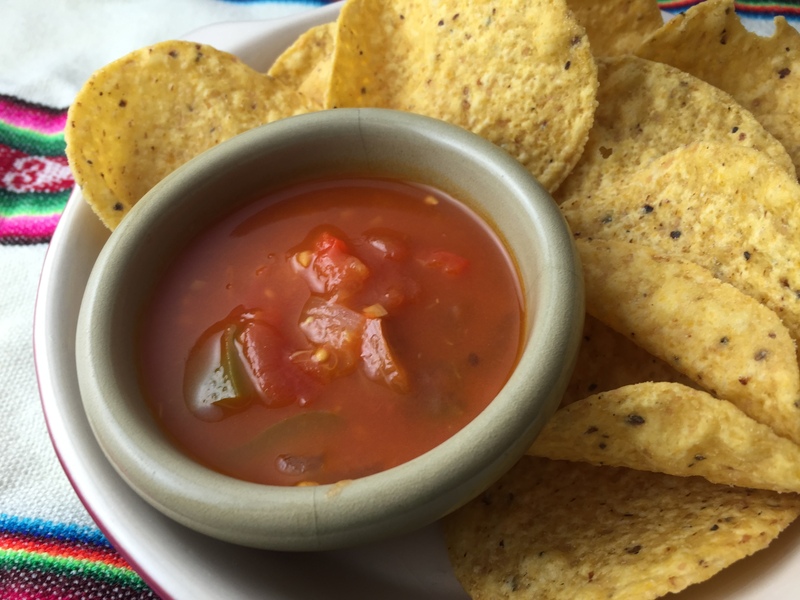 This homemade salsa recipe for canning delivers a sauce that’s full of veggies and fairly mild. If you like more kick, add even more jalapeno peppers or use only Habanero chilis. The music: Canning is such an old-school act, that it only seems natural to listen to music that reminds me of America’s roots. 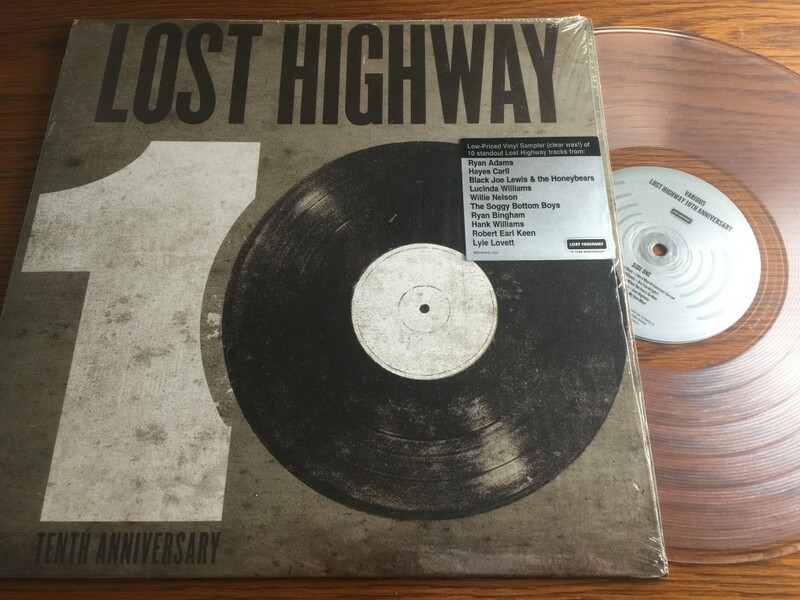 Lost Highway Records, a Universal Music Group imprint, started in 2000 to promote alt-country looks being overlooked by mainstream record companies. The label released the O Brother, Where Art Thou? soundtrack, distributes Johnny Cash and Hank Williams records, and is home to famous veterans like Willie Nelson, Lucinda Williams, and Lyle Lovett as well as new talent like Ryan Adams. Lost Highway released this sampler of its acts to celebrate its 10th birthday. With that sort of pedigree, there’s no way this album can go wrong. It’s the perfect gritty, homegrown music to accompany you while you can like a seasoned homesteader. This recipe makes about 8-10 8-oz. jars of salsa. You can buy new canning jars, rings, and lids at the grocery (usually in the baking aisle) for about $1 ea. Or, hit estate sales or garage sales often enough and you may be lucky like us; we found boxes full of jars for just $.25 ea. If you buy used, it’s smart to buy new lids rather than washing and reusing the old ones. 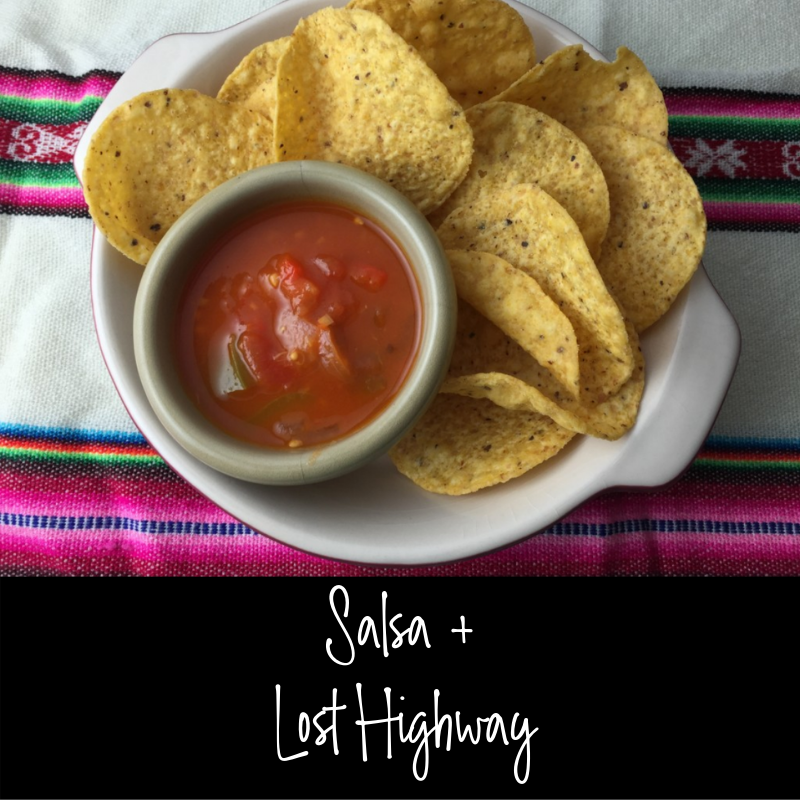 We’ve made two batches of this salsa this summer. We left one chunky and runny (below) and used an immersion blender to make the other thicker. It’s really a matter of taste. I prefer the thicker version for dipping and the thinner one for adding to taco meat. In a very large pot, bring canning jars to a simmer. Meanwhile, wash lids and rings in soapy water, then rinse and set side to dry. Bring a large pot full of water to a boil. Cut a small, shallow "X" in the bottom of each tomato and then cook them in batches. Leave them in the boiling water for about 30 seconds, then drop immediately into the ice bath. After a couple of minutes, peel the tomatoes. Let cool. Chop and remove cores. Saute onions, peppers, and garlic in oil until soft. Remove water from large pot and add tomatoes, onion mix, cider, and salt. Bring to a boil, then reduce heat and simmer for an hour or two to reduce liquid. If desired, reduce the chunkiness by blending the salsa in a blender, food processor or with an immersion blender. Remove jars from hot water. Add 1/2 tbsp. lemon juice to the bottom of each jar (this adds acid to the tomatoes to prevent botulism with canning) and then fill each with salsa. Using a canning funnel will keep the jars clean, or wipe up any mess before adding the lids. Set aside and wait for the lids to pop or, after 30 minutes, gently press the tops down with your finger. Submerge the filled jars into a very large pot of simmering water. Make sure they are sitting on top of a grate so they aren't directly touching the pot. Let them simmer for 15 minutes. Without this step, the salsa will only last about two weeks. A final hot-water bath, however, allows you to store the sealed salsa for up to a year in a cool, dark place. Once opened, store it in the refrigerator and eat within a week. This looks very good! Visiting from What’s It Wednesday! !